In order to produce the new parts any sorts of machine, Moulding process is utilized. Moulding process helps to generate the strong and worthy parts easily and instantly. Bi-color injection mold is preferred by many companies, as it will produce the component in two colors. The components, which produced in this model, will be more attractive. Mostly, toys, dolls, toothbrushes, buttons, switches will be prepared using this model. Apart from Bi-color injection mold, BMC molding and thin wall Injection molding products also have more fame among the people. The important and specialty of this process exist in the selecting the color combination. If the color combination matches well, the certain product will reach the customers in large amount and its market ranges increases a lot. BMC injection moldings products will be more strong and stable. Thus, the plastic mold components required for the transportation, sports, electrical related works are prepared using this moulding process. The materials prepared using the BMC molding process will be very flexible and they can be extended easily. BMC objects will be great in withstanding the heat for long time. Thus, electrical appliances are mostly prepared using this model, in order to get the heat withstanding capacity. BMC material will remain constant upto 130 degree of heat. Also, BMC material will not be wasted soon and they can remain for long period without any damage, if it is handled carefully. During BMC molding, the essential materials should be mixed in the perfect ratio and suitable temperature should be applied. Then only it is possible to procure the stretchy and reliable BMC materials. 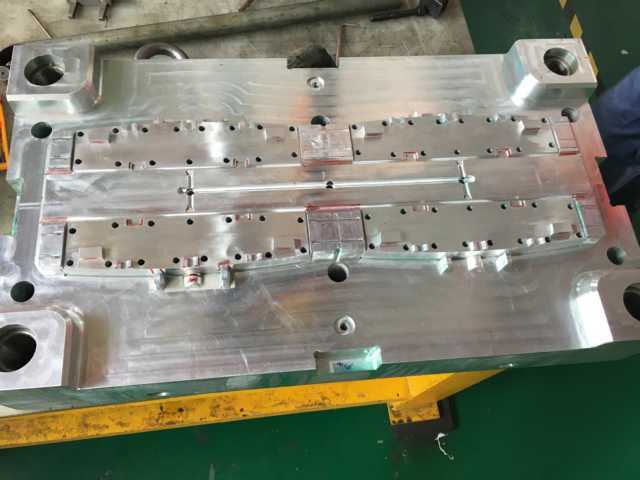 Thinwall Injection Mould to make Thinwall Injection Mold molding parts, the process is not that much easy process as like other molding process. In order to generate the thin products, this molding process is utilized. Using this process, large number of components can be prepared in a short period. Mostly to produce the electronic components like mobile, laptop and computer parts, this molding process will be used. As Chinese people prefer the plastic utensils in large amount, there is large demand for the plastic utensils in china. The thin plastic utensils are prepared using the Thinwall Injection Molding process. High speed plastic molding machines, thin wall moulds are very essential to carry out this process. Along with these parts Robot system also should be available to execute this process successfully. Robot system performs the work of lifting and placing the molded material carefully in one place. Chinese Molding companies are very careful in producing the products using the moulding process. They incorporate the high quality materials during the moulding process to procure the quality rich products. Thus, the molding products created by the Chinese companies are very reliable and worthy. Not only they concentrate in materials to be incorporated but also they will focus on mold machine, mold design, cooling system and so on. They will pay attention on each and every thing. These reasons play an important role in delivering the Chinese molding products in market in large amount. Since, molding process is performed with help of machines; the shape of the products will be accurate.